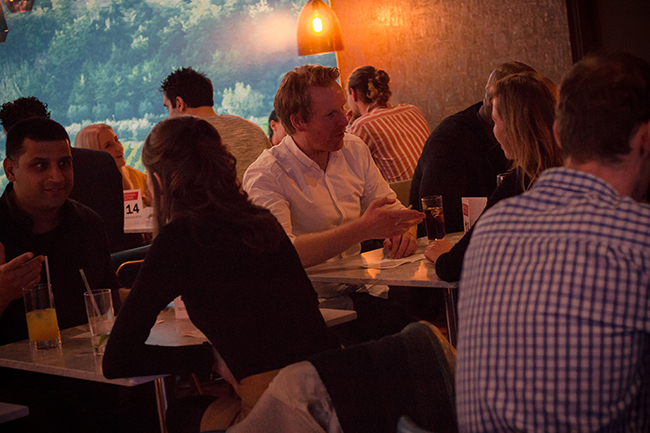 You are here: Home > Latest Reviews & Features > Speed dating for adults? It was the night of the biggest vote in recent British history, with so many variables and choices in play, the outcome was hard to predict. Would I face jubilation or disappointment and more to the point why had I decided to go to over 40’s speed dating. Dating as you get older can be challenging. Going online might seem to be more convenient, but there are confusing rules of engagement coupled with a lot of disappointment. Coincidentally I’d been listening to a Radio 4 report into online dating, where they quoted research suggesting that only about 50% of those signed up to the various online services ever went on a date with anyone. I must admit that reflected my own experience having been on eharmony for about a year without a single date. I’d also found it very time consuming to get any sort of engagement back, and Tinder I’d found to be a joke, more an entertainment app than a useful dating tool. OK then something that involved meeting people would probably be better and I thought of speed dating. In my youth I’d sped dated a few times and enjoyed it, but I thought isn’t it a young person’s game and not for someone born before Space Invaders became a thing. 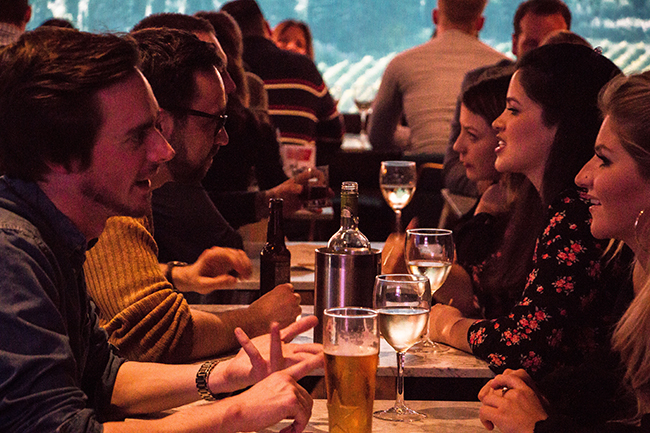 Well not at all it turned out, there is a choice of dating events available for the over 40’s and conveniently for me Original Dating, London’s most prolific dating events specialist were organising an event in Clapham Junction. The venue was Sugar Cane, the tropical themed bar pretty much opposite Battersea Police station. Fittingly for an over 40’s event the décor inside takes you right back to the 70’s, so much so I half expected to spot Bruce Lee lurking in the plastic undergrowth. 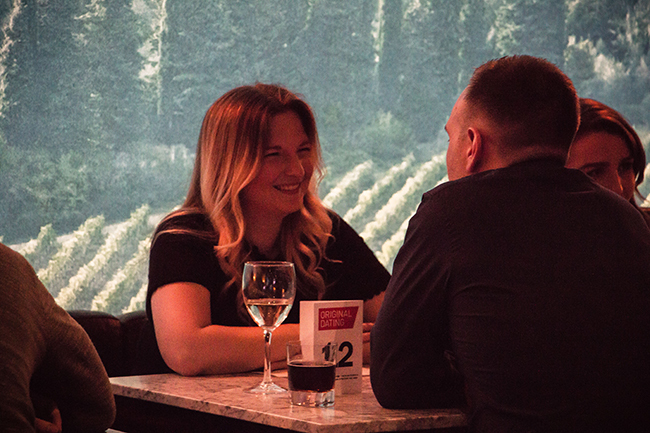 The dating itself takes place in the downstairs bar, and for those unfamiliar with speed dating follows the classic format of ladies staying put and gentleman moving on every 3 to 4 minutes. In Original’s case, speed dating is definitely a numbers game, in that you match according to what the call your mixeo number rather than name and are then reminded by email to enter your results on the website the following day. My mixeo number for night was number 1, and it felt great as I think this was the first time I’d been number one at anything. Before going into the venue I’d been as nervous as a student getting a call from his bank manager, once the first whistle blew however those nerves vanished and I found myself quickly enjoying myself. On the night I went I had about 15 four minute dates, with a range of ladies who were all lovely in their own way. Once the nerves had gone and we’d got beyond the cliched questions of where do you live and what do you do and we started talking about important things like who was your favourite character in Scooby Doo time melted away. The seconds passed so quickly that I was often surprised and perhaps not a little irritated when it was too suddenly time to move on. The whole event lasted just over an hour and a half which I have since heard was about average, and is pretty similar to the timescales of the events I participated in during my long lost youth, I have to admit having dreaded going ever since I first signed up, I thoroughly enjoyed myself and can see me going again. It does depend though on how my dates from the night turn out, how did I do I hear you ask, well a gentleman never tells and neither do I. It is enough to say though that there were at least a couple matches from the night, and one in particular I’d be disappointed if not to hear from again. So fingers crossed and perhaps next week back to the more familiar world of dining out, but then again with who?